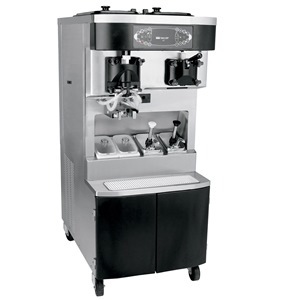 Sani-ice is the perfect solution for any equipment such as commercial ice cream makers, ice or coffee machines, that need disinfecting, but with no downtime. Sani-ice 500 has a residual or lasting biocide effect, remaining active on the surfaces of the machine for several days after application. Because Sani-ice 500 has no smell of taste residual, the machine can be returned to use immediately on completion of the cleaning and disinfection cycle without the need to perform a final rinse and dry. Any scoop stored within the body of the machine can be spot treated with sprayed Sani-ice 500 without the need to either close down the machine or remove the scoop for treatment. 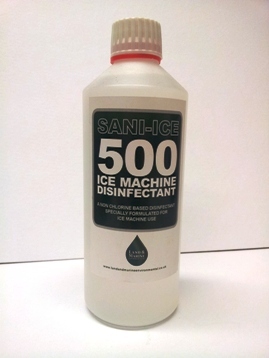 Sani-ice 500 is supplied as a concentrate in 500ml or 5 litre containers. 500ml will provide 150 litres of usable Sani-ice 500 solution.